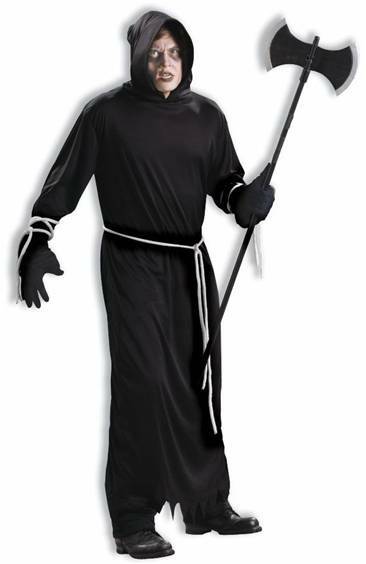 BLACK ROBE WITH ATTACHED HOOD AND BELT. This beautiful hooded robe would be great for any Halloween party! 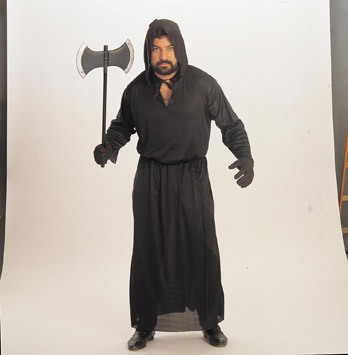 Includes robe, wig and belt cord. 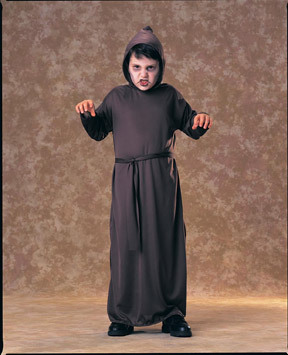 This great medieval monk costume is a perfect ensemble for a Halloween costume, religious school play, or just being part of Robin Hood's merry men. 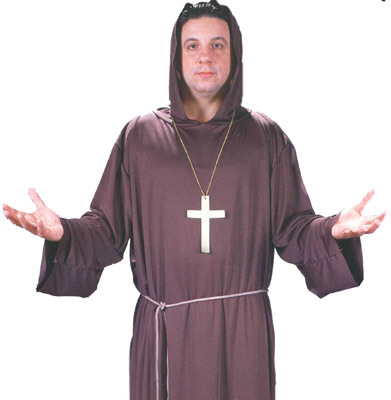 Includes a robe, hood with capelet, wig and belt. Includes robe. Choose from Black or Brown color.